A massive congratulations are in order for Halsey: She landed her first-ever No. 1 on the Billboard 200 charts for her new album, hopeless fountain kingdom, Billboard has announced. According to Billboard, Halsey’s second album earned 106,000 equivalent album units, and of that, 76,000 were in traditional album sales. Even more? hopeless fountain kingdom is the first album by a woman to be No. 1 on the Billboard 200 in 2017. 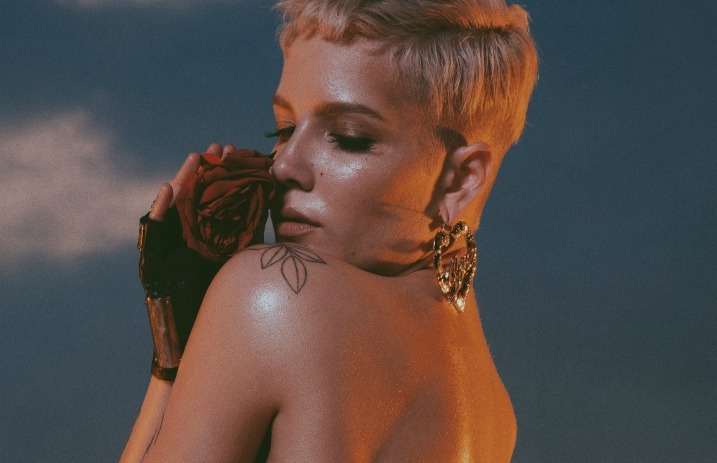 Billboard also report that the album’s lead single, “Now or Never,” gave Halsey her first top 40-charting hit on the Billboard Hot 100 as a lead artist. Halsey will be heading out on tour in support of her new record this fall, and you can check out the full list of cities and dates below! How stoked are you to see this hopeless fountain kingdom news? Let us know in the comments below!